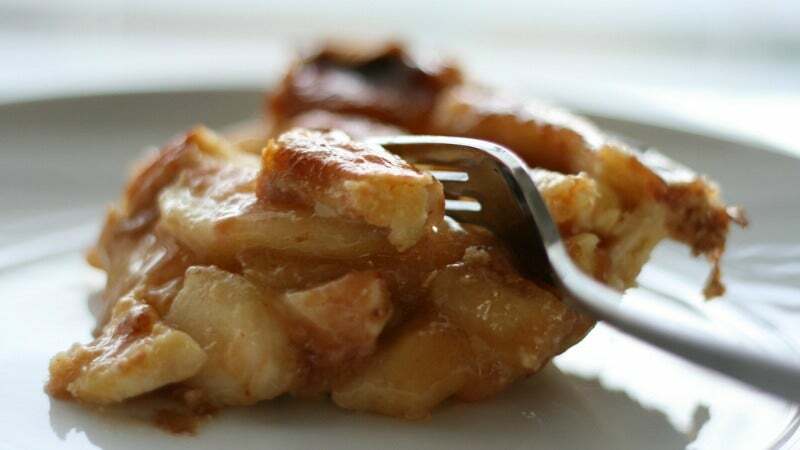 Soggy bottom crusts are the enemy of perfect apple pies, but just a bit of almond paste can prevent juicy filling from wreaking havoc on your precious pastry. Simply make a double crust as usual (the link below has an excellent recipe) and, after you've rolled out the bottom crust, roll out some almond paste into a thin disk and press it onto the top of the dough. Fill the pie as usual, top with the other crust, and bake as usual. Not only will the bottom of your pie stay crisp, but the sweet, nutty taste of the almond paste will add depth and dimension to an already delicious treat.